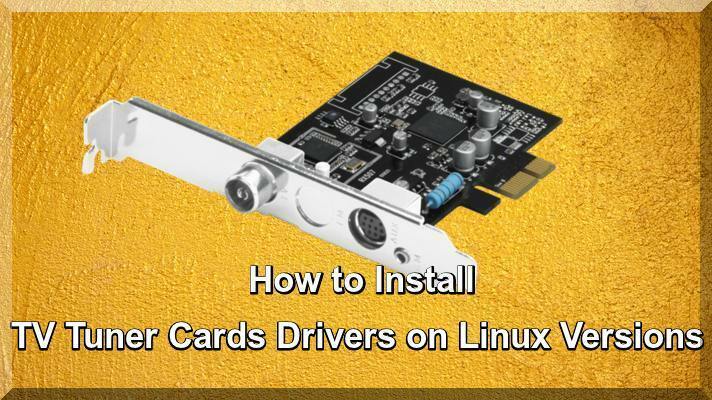 By this useful Article I guide you that how to install TV Tuner Cards on Latest Linux Versions such as Ubuntu, Linux Mint and other Latest versions. Linux Distros are very popular and also it has some hardware work on Linux basis systems are very difficult job. If you have TV Tuner Card and you required its perfect driver, and you are going to search on line and getting more problem to install on Linux distros. If you want to install Nvidia latest Cards Drivers on Linux read this Article. Linux saves time by correctly configuring and automatically installing but some hardware's creating problems such as TV Tuner Card, Blue Tooth Services etc. Now I guide you step by step that how to install TV Tuner Cards drivers on Ubuntu versions. This tutorial is very profitable like other Linux tutorials. If you are interested to watch cable TV on Ubuntu and other Linux distros through free Software TV Time. I think TV Time is very easy and popular Linux software to run your Cable TV without any problems. Note that old TV Tuner Cards not working on latest Ubuntu and Linux versions, so I advice that purchase latest TV Tuner Card from Market. If you want to install TV Time on Linux Distros open (Software Center) and type (tvtime) on right corner and install it. Now search that your TV Tuner driver is available and working properly to use the following command in terminal. In light above suggestions, you have checked that your TV Tuner Driver is working properly and now to use the following commands in terminal and install TV Tuner Card to use step by step command. In view of the above commands, if above commands not working properly and still TV Tuner driver creating problem and I advice that use the above command (dmesg) and check that your TV Tuner Card No and use your Card No for example your Card No is 22 to change it with 21 shown in above mentioned commands and try to install TV tuner Card. I hope you like this tutorial like other Linux Tutorials.